Violin Shoulder Rest : Is It Useful? The violin shoulder rest is a modern violin accessory which is used to help violinists secure their violin between their chin and shoulders when they play the violin. It is fixed on the back of the violin to provide support and add height to the neck of the violinist, and prevent the violin from slipping too. 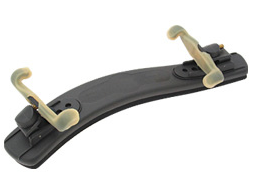 A violin shoulder rest can be made of plastic, wood or aluminum or carbon fiber. It’s ‘feet‘, though made of plastics or metals, will be covered with rubber tubing to grip the back of the violin. This is also to prevent scratches or damage done by the ‘feet’ to the violin back. Violin shoulder rests are fast becoming a common accessory for most violinists, usually in beginners. However, most professional violinists do not use them. Have you ever wondered why? When Is A Violin Shoulder Rest Useful? The violin shoulder rest can be used for various purposes. Especially for beginner violinists, they may encounter problems of securing the violins. For kids, the bottom of the violin may be hard and painful to their neck and shoulders when they play it. Hence, the violin shoulder rest provide a cushion for them to rest on. Violin shoulder rests also raise the height of the violin, and this helps violinists with slightly longer necks. 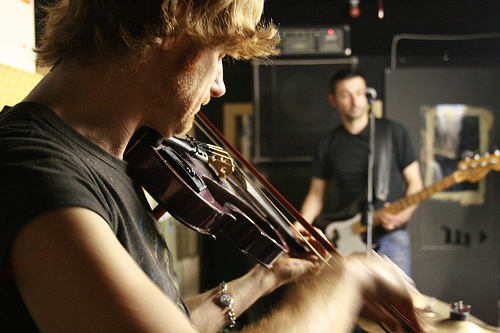 Hence, the violinists can avoid constantly raising their shoulders to secure the violin, and prevent muscle tensions and unnecessary injuries. 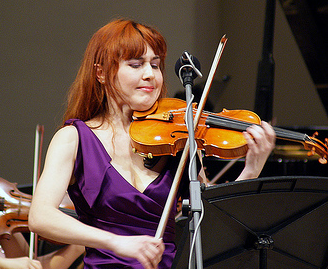 Violin shoulder rests are also popular among professional female violinists too. It’s not mainly for the reasons above. But they use them to tighten their grip to the violin especially if they are wearing gowns or dresses for their violin performance. The violin shoulder rest provide additional friction to their bare shoulders. A violin is an instrument which works on vibrations. In other words, the tone and sound quality produced by the violin is determined by the vibrations of the strings, traveled through the bridge and the sound pole, to the whole body of the violin. Hence, the violin shoulder rest is deemed as an object which will hinder the vibrations from traveling throughout the body of the violin. This may cause the tone and sound quality of the violin to be compromised, and will be difficult to play to its full potential, with a violin shoulder rest attached. Most famous violinists, like Itzhark Perlman, did not use a shoulder rest while playing. Furthermore, prolonged usage of the shoulder rest may leave stains or scratch marks on the violin, and thus devaluing it. If you do not like a violin shoulder rest, there are alternatives which can help you too, and provide similar functions. Sponges or Cushions are usually attached to smaller violins, which are used by kids who are learning violin. This will be comfortable for them to rest on their shoulders. Handkerchiefs can also be used to prevent the violin from slipping down the shoulder. It will be much preferred if the violinist believes that his violin tone quality is being comprised by the attachment of the shoulder rest. Violin Shoulder Rest … or Not? After reading more about violin shoulder rests, you may be unsure if you should be attach it to your violin the next time you play it. So should you, or should you not? There are violinists who excel without shoulder rests, but there are also those who play beautiful music with violin shoulder rests on. However, do note that the shoulder rest should, and always be just an accessory to help you play the violin better. If you find that it is not helping you in anyway, try to play without it. An advice would be that you should not develop an over-reliance on violin shoulder rests. After all, violin players in the past never played their violins with shoulder rests! Most violinists buy violin shoulder rests based on the brands available in the market. There are a few well-known violin shoulder rest brands that are recognizable and used by many professional violinists. Check out our Violin Music Shop for latest updates on violin shoulder rests, and if you like to find out more about specific violin shoulder rest brands, check out the reviews below!